Great deals at Sky & Telescope today only! Hey, just a heads up that among all the other Black Friday/Cyber Monday/whatever-we’re-calling-this-season-now discounts out there, the ShopAtSky store at the Sky & Telescope website has some screaming deals. If you use the promo code BLKFRIDAY, you get 30% off storewide and free US shipping. But the promotion ends tonight (Nov. 30), so get on it! 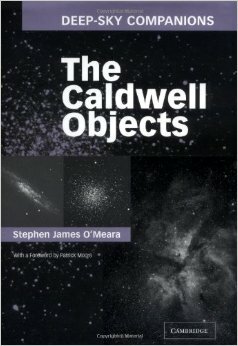 Of personal interest to me is that they have new copies of Stephen James O’Meara’s Deep-Sky Companions: The Caldwell Objects. I like all of the Deep-Sky Companions series (see my review of Hidden Treasures here) and I’ve been collecting them one by one, but I didn’t have this one. It’s been out of print or at least hard to find for a while, and used copies have been going for upwards of $60 on Amazon. The book is normally$39.95 at ShopAtSky, currently discounted by 20% to $31.95, then discounted today by an additional 30% if you use the promo code, which brings it down to $22.something. I know some folks aren’t wild about the Caldwell list but there are a lot of great objects in it and if you like O’Meara’s writing, this book is a must-have. There may never be another chance to get new, hardcover copies of this book this cheap, so if you’re remotely interested, do the right thing. Oh, and if you don’t already have Hidden Treasures, ShopAtSky has it for $19.95 before the 30% promo today, so you can get this book right now for under $15 and with free shipping. That is just astonishing. You are currently browsing the 10 Minute Astronomy blog archives for the day Sunday, November 30th, 2014.